SHIPPING NOTICE: If you order today, you can expect a 6 week delivery time. I have been hunting and fishing since I can remember and love all things outdoors. 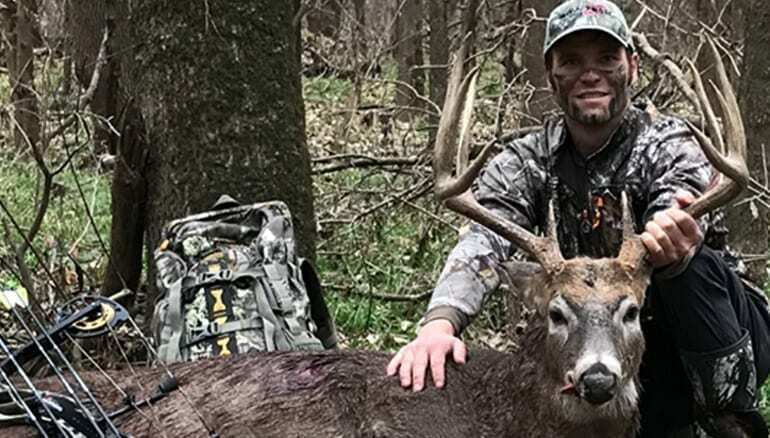 As I got older and honed in on archery hunting, I became increasingly passionate about hunting mature bucks with extreme tactics and always with bow and arrow. Then I discovered saddle hunting and after two seasons, I can confidently say that hunting from a saddle has allowed me the ability to become more mobile, stealthy, efficient and most importantly to hunt with more confidence than ever. My 16 year old son and hunting buddy, TJ, also hunts from a saddle and he has seen the rewards as well. There is nothing like a double saddle set-up archery hunt from the same tree with your son and favorite hunting partner! We hunt on highly pressured public land 90% of the time and our saddle systems have helped us to be more successful. Thanks for supporting the Tethrd Nation! Want discounts on Tethrd Gear? Drop your email below and we’ll send them to you.